I got my son this inflatable boat for Easter. He absolutely loves it. His dad took him out with there fishing gear and they both had plenty of room to stretch out there legs and fish off the boat. My son even stood up on the boat with no problem. Such a great buy. 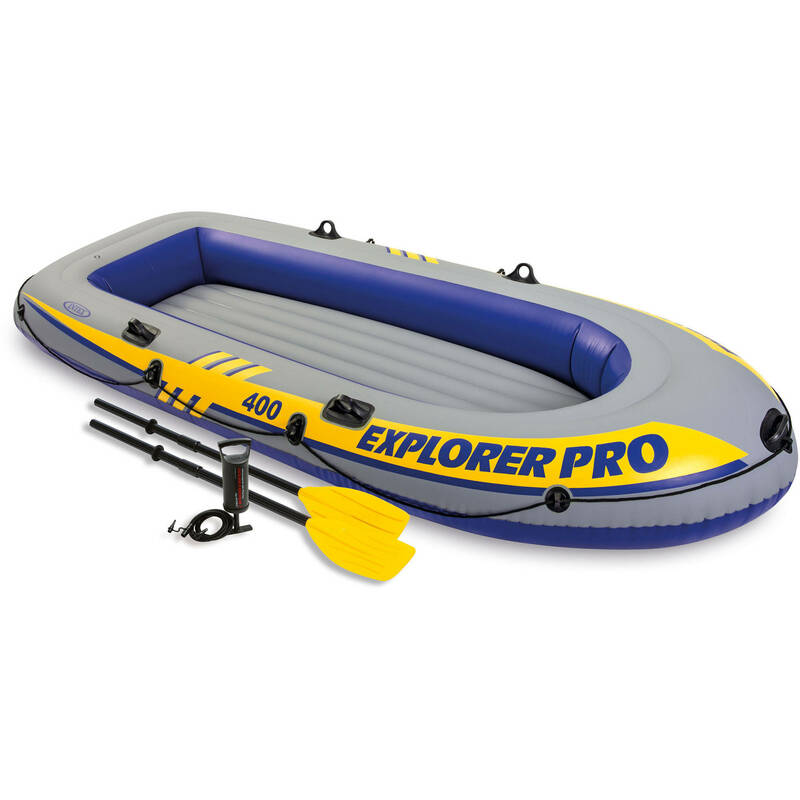 Tbook.com crawls the web to find the best prices and availability on products like Intex Inflatable Explorer Pro 400 Four-Person Boat with Oars and Pump. This product is one of the more popular items we list which is why it is in our "hot deals" section. If you have any questions on this product, please give us a call at 734-971-1210 during the hours of 9am - 5pm EST for assistance. Thank you for shopping at Tbook.com, the Internet Department Store!